Our 13th issue drops in a month with a Friday the 13th, so that was an obvious theme to the strange rituals and superstitions that accent bike culture like flavorful, crunchy salad toppings. Get it later today on iTunes or any devices with a browser for $16.00 a year or $4.00 an issue. 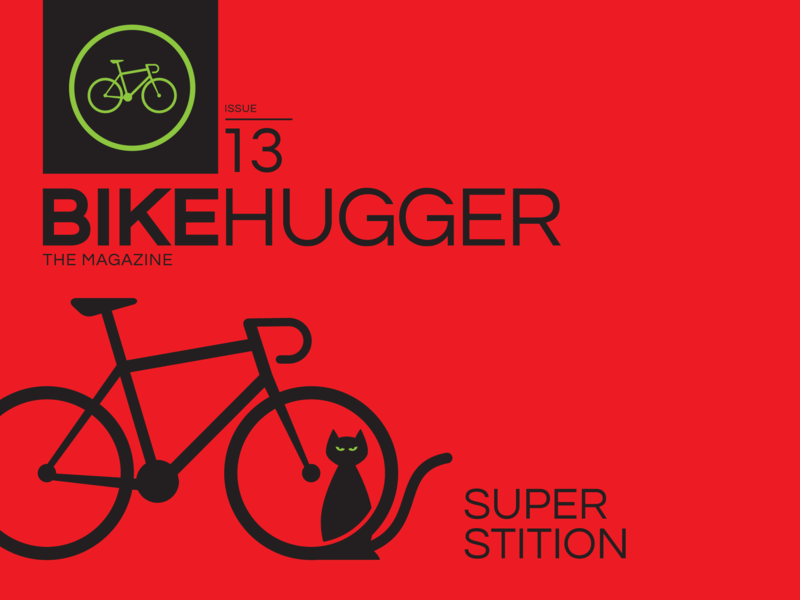 Subscription revenues directly support the writing, editing, and production of Bike Hugger Magazine. It’s ad free and published monthly after we knock on wood and toss salt over our left shoulders.